If you live in Evanston, especially if you’re a parent, you don’t need to be told the Mudlark Theater Company story. 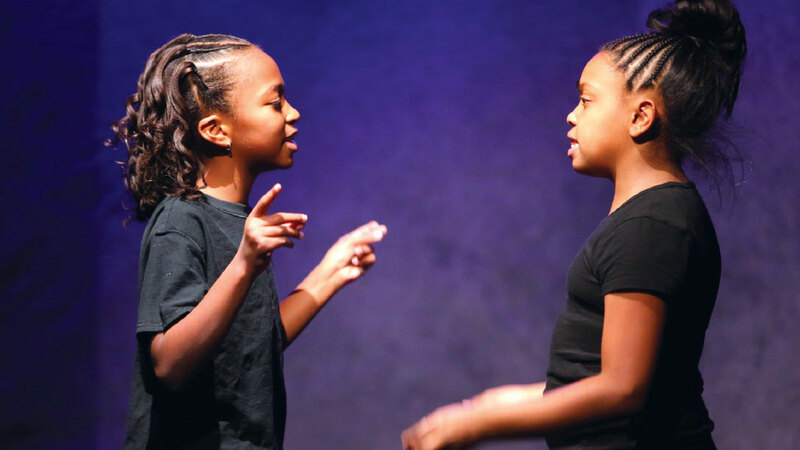 Chances are, this nonprofit entity devoted to creating professional level theater for young people has already touched your family’s life—whether it be through a summer camp, afterschool class, or one of the nearly 100 productions Mudlark has staged since its inception in 2005. 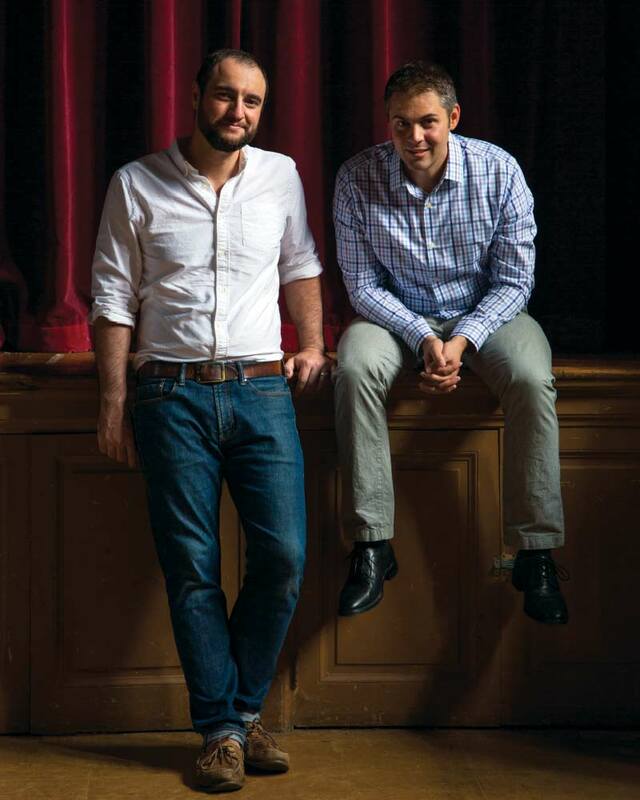 You probably also know the story about how Artistic Director Andrew Biliter and Executive Director Michael Miro met at Evanston High School and joined forces in 2010 to turn a small theater company with $61 in the bank to the diverse, vibrant, arts organization it is today. But this year, there is a new story to tell. Miro is leaving the organization he contributed so much to, a national search is now underway to replace him as executive director, and Mudlark is executing the first strategic plan in its history. In a series of early September conversations with Miro and Biliter, details from that plan were revealed in what promises to be a bold new chapter for Mudlark—one that catapults it into the professional non-Equity Chicago theater scene and unveils a different kind of Mudlark experience. That road map he speaks of is the strategic plan—one that repositions Mudlark as a peer alongside other professional theater companies in Chicago. In addition to joining the League of Chicago Theatres, Miro and Biliter have a new vision for the company’s mainstage productions. What this means is that Mudlark will be soliciting new works that highlight the stories of young people about issues and struggles that are impacting their lives in these times. For example, its November world premiere production of Jose Nateras’ The ARC Trials is a science fiction play about a spaceship of children on a mission to colonize a new planet. With no one but two humanoid robots (played by professional adult actors) to watch over them, the children begin to realize that not all is as it seems aboard this mysterious vessel. Similarly, Mudlark is preparing another world premiere for the spring season that tells the story of a strike at a factory where all the workers are girls. “We’re a company uniquely positioned to tell a story like that because we’re a youth company. Other companies could do that but they’d have 20-year-olds playing 12-year-olds,” he adds. Beyond the casting and material choice, other changes at Mudlark this fall include extending production times for additional weekends to maximize media exposure and build audiences that go outside the usual parent circle. In other words, Mudlark Theater Company is poised to be viewed in the community as a theater for all audiences, not just for Mudlark players and their families. It’s an exciting time of growth and opportunity, but some things will not change. Those include Mudlark’s multiple studio productions throughout the year and other educational offerings. “Over the last eight years, we expanded the number of summer programs from 10 to 66, school programs from two to 25, and the number of kids cast each year from 50 to more than 200,” says Miro. Niya Eason, Safiya Blount, Tyler Knohl, and Ronni Lewis examine issues of race through a series of vignettes in last year’s production of I.D. Mudlark is also putting increased energies into equity and inclusion to ensure racial and economic diversity not only in the material presented but also within its community of actors, scholarship students, full-time staff members, and teaching artists. From a revenue perspective, the company has grown from a tiny operating budget of $40,000 to a current operating budget of $700,000. Seventy percent of that revenue is earned from classes, camps, and ticket sales; the other 30 percent comes from individual donors, state and municipal grants, private foundations, and corporations. “Individual donations are our lifeblood, particularly major gifts of $1,000 or more” says Miro. “Grants and institutional support is very hard to come by. We need to raise an extra $200,000 a year to retain staff, keep ticket prices and camps affordable, and continue to grow our scholarship program. Mudlark’s annual fundraiser Larkabout will go a long way to reaching that goal. Preparing pop-up performances for the event brings Biliter and Miro back to one of the greatest delights of working with young actors. The ARC Trials runs November 2-4; November 9-11; and November 16-18 at Noyes Street Theater, 927 Noyes Street in Evanston. For tickets and information, call 847-448-0708 or visit mudlarktheater.org. Mudlark Theater will be staging a fanciful flight of pop-up theater at its signature Larkabout fundraiser on Saturday, November 17 at Temperance Beer Company. In addition to Temperance beers and food from Ten Mile House, guests will be treated to “A Flight of Mudlark”—sketches, songs, and poems performed by Mudlark actors perched on barrels and boxes at intervals throughout the evening. Striving to ensure community-wide accessibility for the event, this year’s ticket price is lower than previous Larkabout events. Proceeds will provide crucial support for the theater’s work to serve, teach, and empower thousands of local kids through theater—ensuring that no child is ever denied a Mudlark experience for financial reasons. For tickets and information, visit mudlarktheater.org/larkabout2018.